Kelley Strickland and her twin brother Jeroan accidentally step into an ancient battle between a power-hungry Sorcerer-who wants to rid the world of what he calls "renegade" magic-users-and a good Sorcerer who can barely remember his own name. Kelley soon learns that her new-found way of using magic just might save her adopted city, her brother, and her new, magically infected friends. Or it could doom them all. A fantasy novel for all ages about ancient power, growing up, and finding your place within those two very different realms. 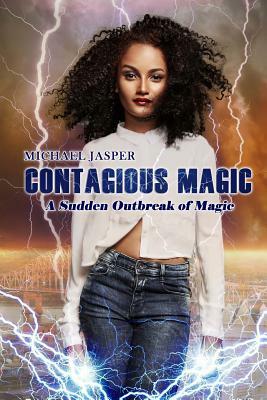 "Michael Jasper brings the common touch to the most uncommon situations. Welcome to his world." - Nebula-winning author John Kessel. Michael Jasper is fascinated with exploring the places where the normal meets the strange. In pursuit of this fascination, he has published over a dozen novels, a story collection, and sixty short stories, along with a digital comic with artist Niki Smith. In the past he's tried bartending, teaching junior high, painting houses, being a secret shopper, working construction, and many more jobs; he prefers fiction writing. For his day job, he works as a technical writer. He lives with his family in North Carolina, and his website is michaeljasper.net.